Baylor's history of excellence and traditions provides an environment where you can find your true calling. Apply to discover your place in the Baylor family. 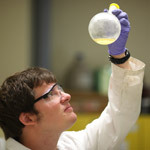 Baylor University Graduate School is a nationally ranked research institution, providing graduate students with the resources and skills needed to succeed beyond the classroom. 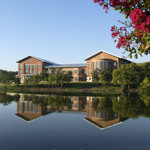 Baylor Law School's transformative education has earned a reputation of prestigious excellence. 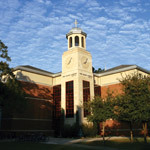 With an award-winning practice court program, Baylor Law School is among the top rated programs in the U.S.
Baylor's graduate social work education provides what few others in the nation can: an emphasis on working effectively with issues of faith and spirituality. Truett Seminary is centered on the gospel of Jesus Christ and historic Baptist principles to provide a theological education, preparing students for ministry, leadership and missions. 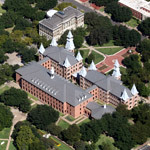 Baylor University is best experienced in person; however, if travel isn't an option, take our virtual tour. This engaging video about academics, traditions and community invites you to discover Baylor. 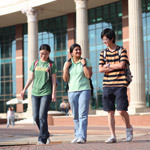 Come discover your place at Baylor University by visiting our campus. 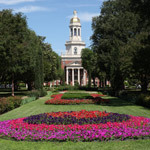 Custom-design your visit as you learn about academics, opportunities and traditions at Baylor. 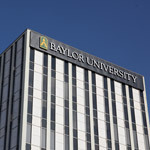 Baylor University is required by federal law to publish an Annual Fire Safety and Security Report. This report includes institutional policies, procedures and programs concerning safety and security. Some of the areas addressed within the report include crime prevention, fire safety, and Baylor’s response to emergency situations and sexual offenses. Three years’ of statistics for certain types of crimes that were reported to have occurred on campus, in or on off-campus buildings or property owned or controlled by the school and on public property within or immediately adjacent to the campus are also included. This report is available online at https://www.baylor.edu/annualcleryreport/. You may also request a paper copy from Baylor Department of Public Safety (254-710-2211).